HOMECOMING COURT. 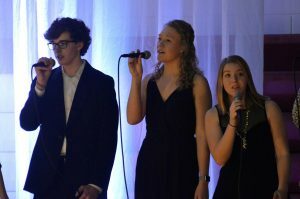 Front Row: Clara Conroy, Andrew Louwagie, Emma Walsh. 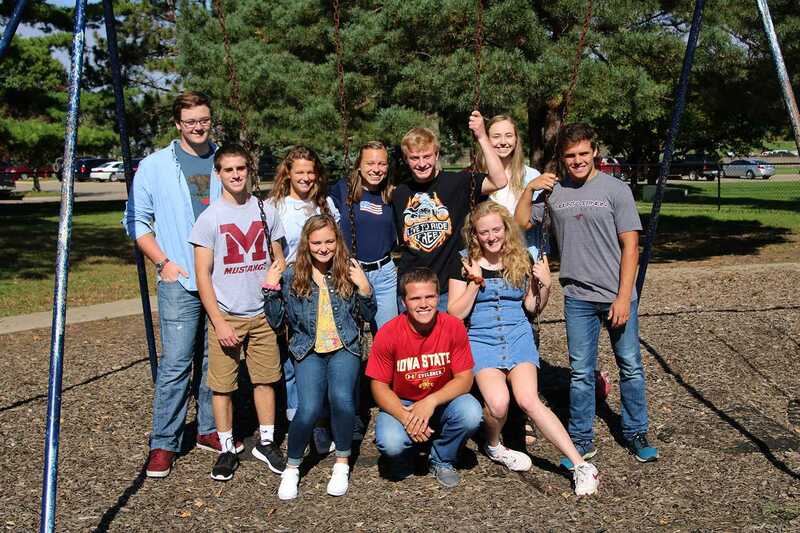 Back Row: David HermsenWhite, Ryan Clark, Alina Merlak, Quinn Rodman, Blake Booth, Ella Brase, Mitchell Louwagie. 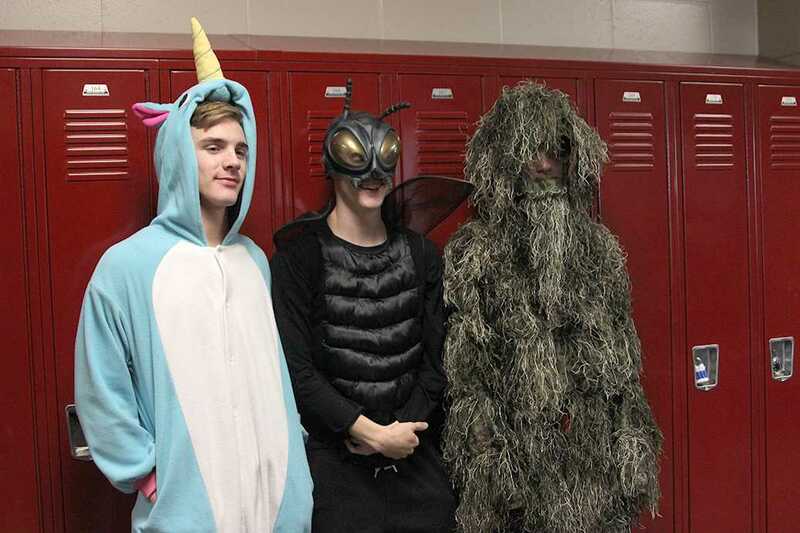 Seniors Reese Panos, Jake Panos, and Noah White celebrate Animal Day on Sept. 26 in their costumes. Photo by Abby Davidson. 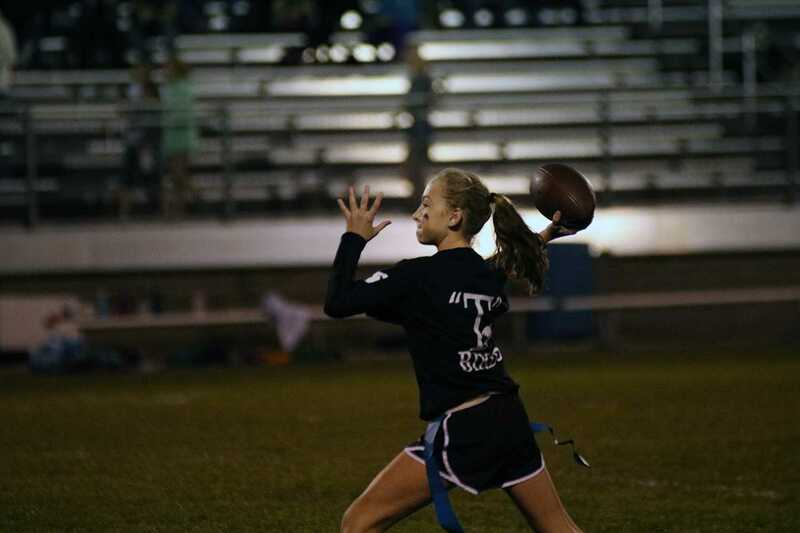 Freshman Camryn Streicher throws the football during the Thursday night homecoming week powderpuff game. 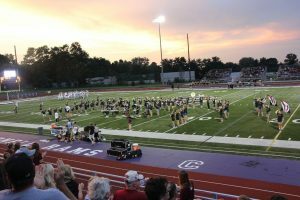 The T-Birds lost the game 21-13. Photo by Caroline Voss. 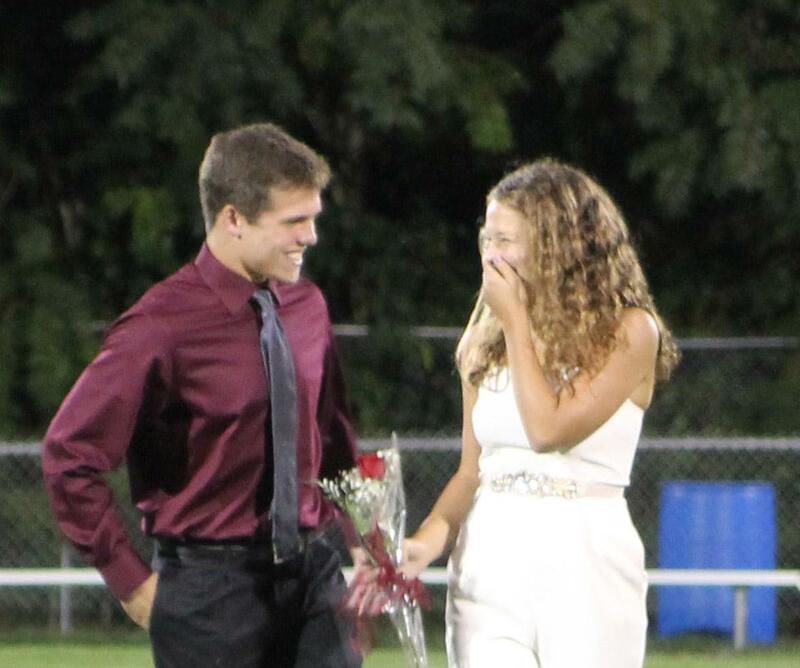 Alina Merlak reacts to being announced homecoming queen with king candidate Mitchell Louwagie. 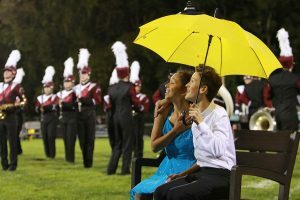 Photo by Paige Zaruba. 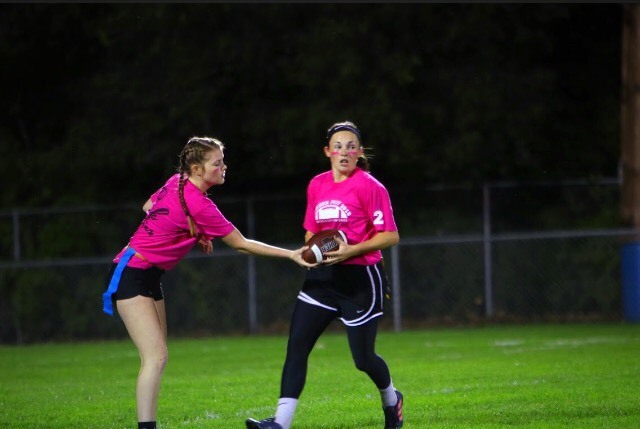 Senior Sammy Moss hands the ball over to sophomore Annalise Harp on Thursday at the Powderpuff game. Photo by Lauren McCollum. 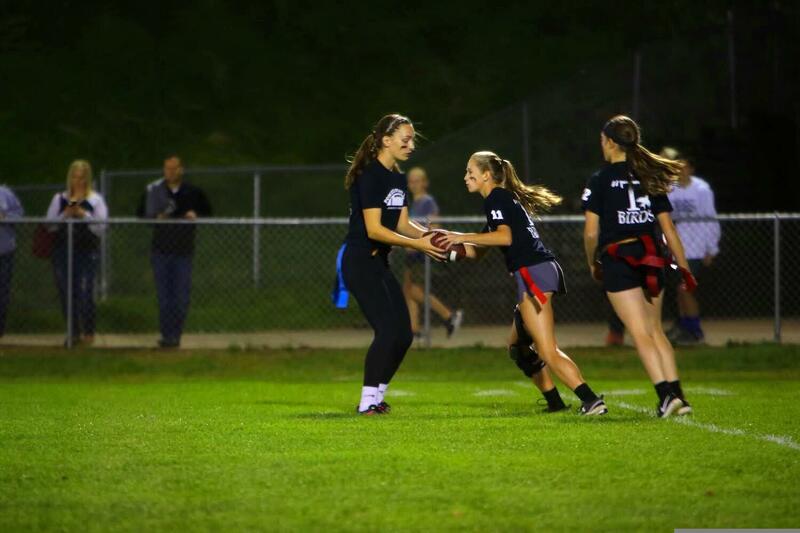 Junior Ella Wischmeyer hands the ball over to freshman teammate Jaden Houghtaling in the powderpuff game on Thursday of Homecoming week. The Pink Ladies beat the T-Birds 21-13. Photo by Lauren McCollum. 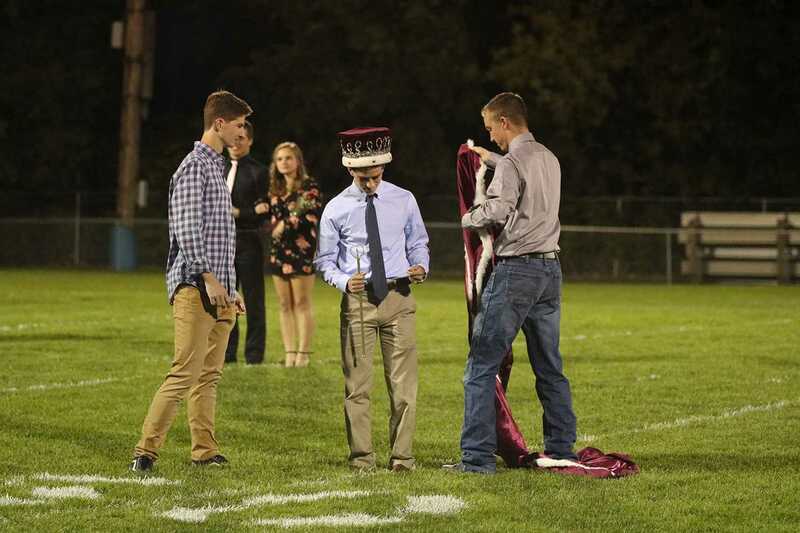 Previous king of 2017, Clayton Loyd, crowns senior Ryan Clark at 2018 coronation. Photo by Jorie Randall. 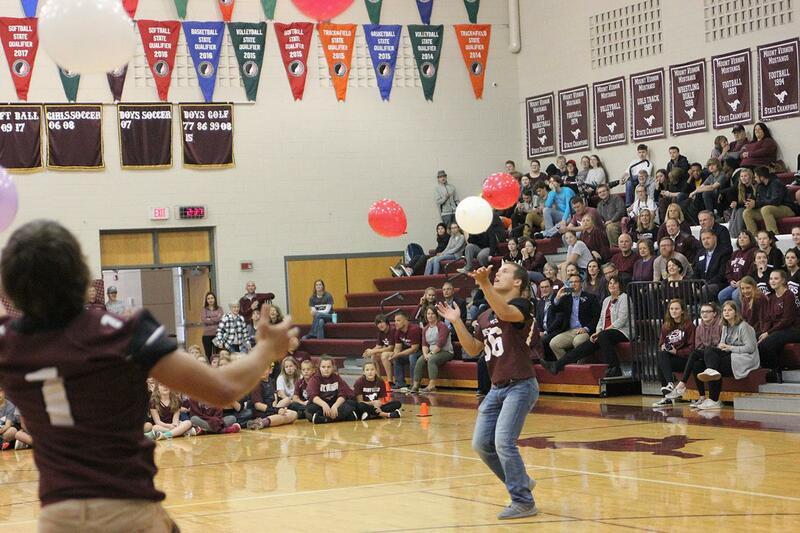 Andrew Louwagie attempts to keep balloons up during an afternoon pep rally, during homecoming week. Other football players Mitchell Louwagie, Tyler Elliott, Noah Guillaume also join the competition to hold up balloons for one whole minute. 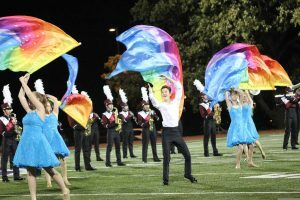 Photo by Maddie Shultz. 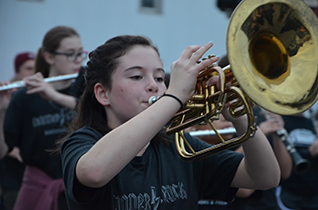 Eight grade Ava Dinner plays the mellophone at the parade on Thursday night. Photo by Pauline Leblanc. 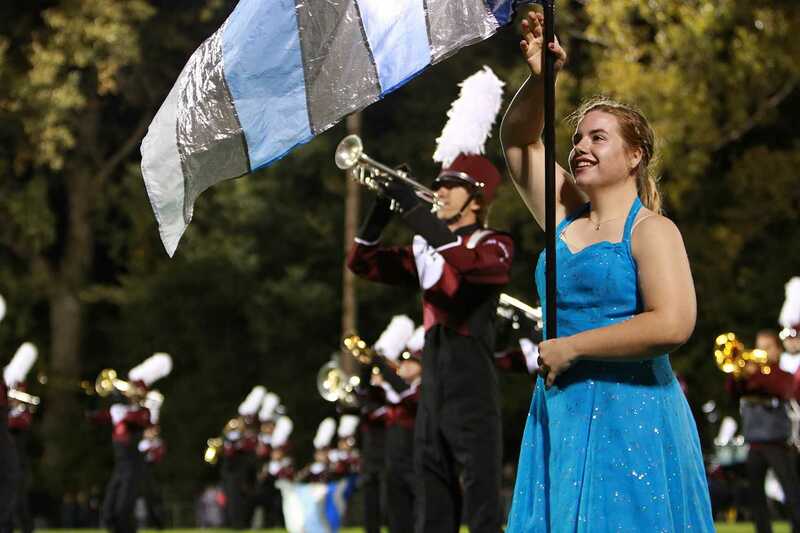 Junior Cate Morgan, member of color guard, collaborates with the band during the homecoming football game halftime performance on Friday Sept. 28. 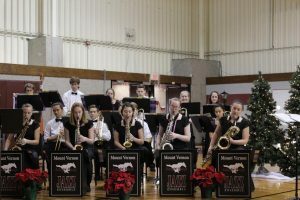 Photo by Maddie Naeve. 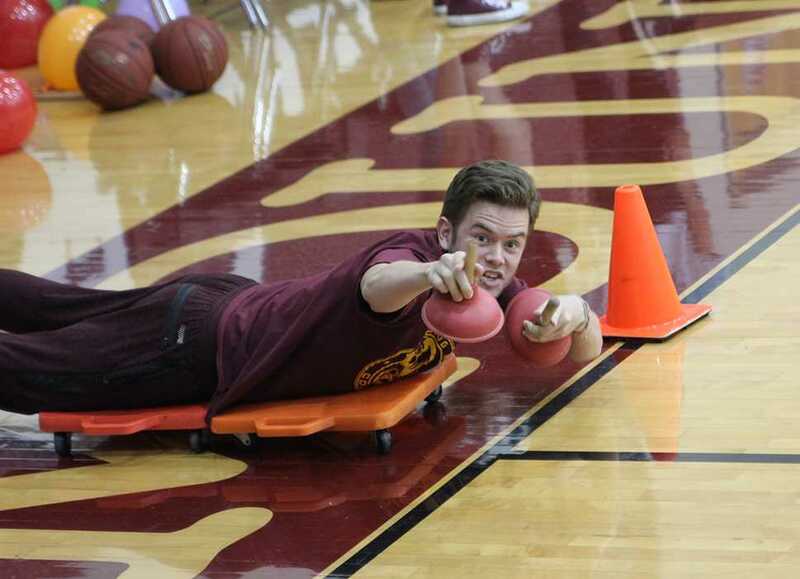 David Wolfe pumps up the high school crowd before his toilet plunger race. Photo by Aydan Holub-Schultz. 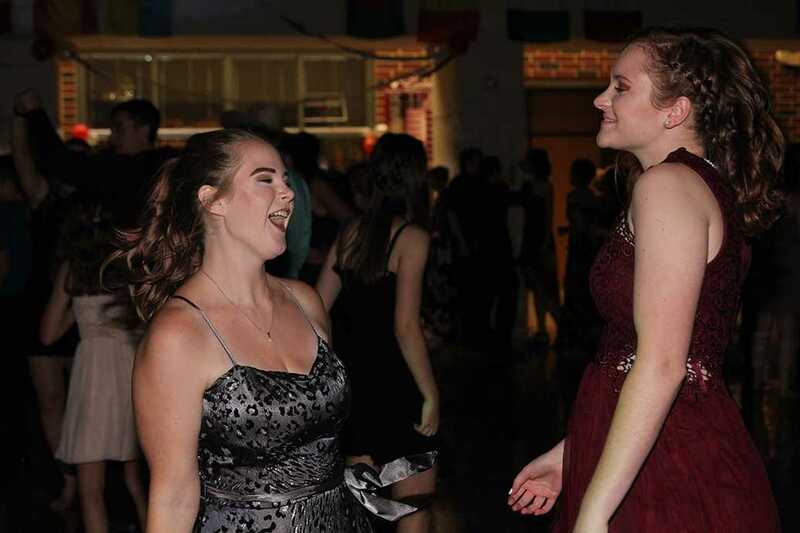 Erin Fencl and Marissa Buck, seniors, dance during an upbeat song at their last prom on Sept. 29. 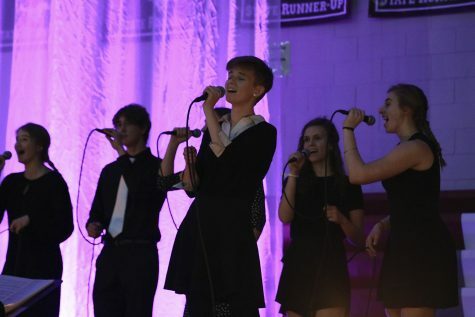 Photo by Emily Wery. 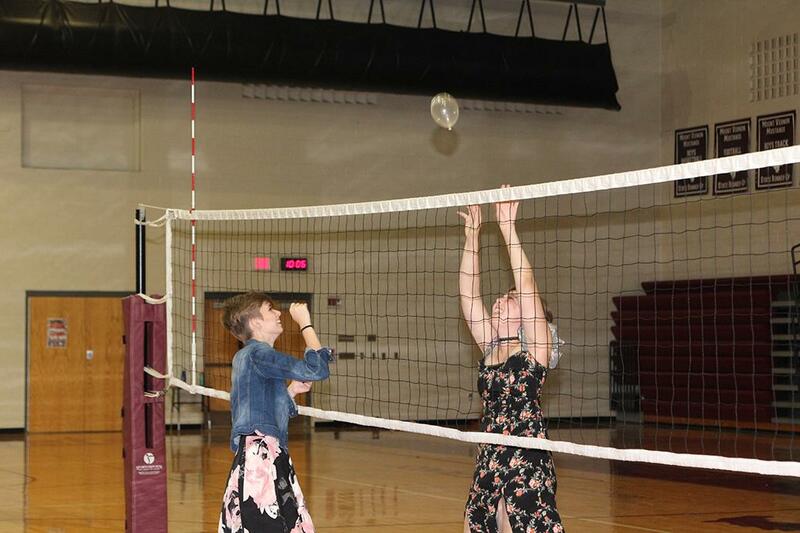 Senior Kate Margheim and sophomore Kaylynn Burgin play with a balloon in the gym during the homecoming dance. 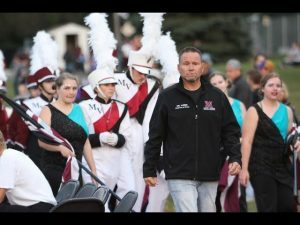 Photo by Emily Wery. 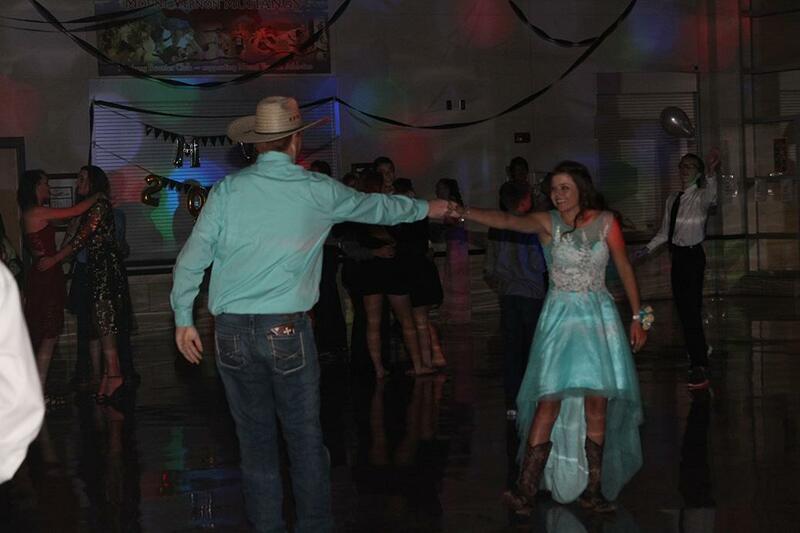 Junior Reilly Gross and her date swing dance during the beginning of the homecoming dance. 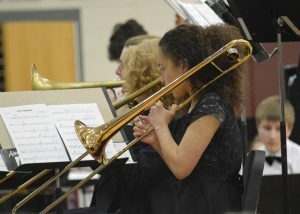 Photo by Emily Wery. 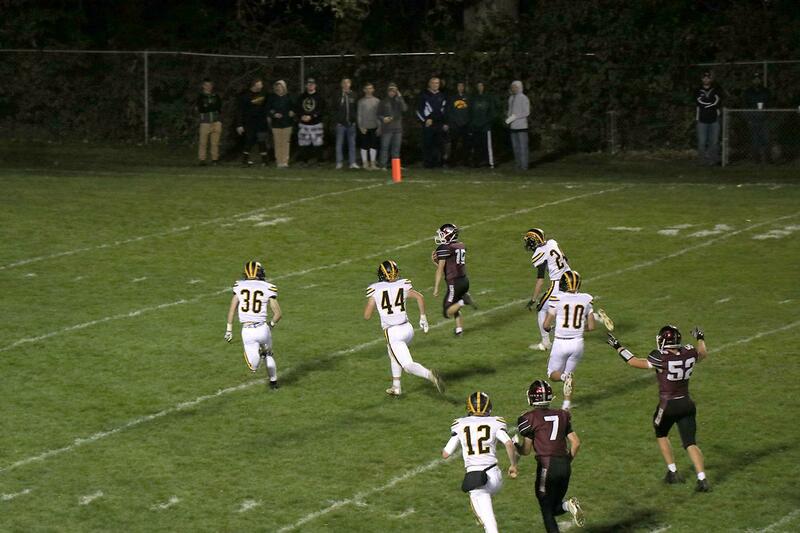 Ryan Clark picks up a fumble and runs it in for a TD, making the first quarter lead against Tipton 33-0. 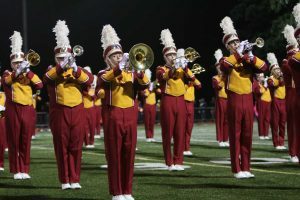 The Mustangs won the homecoming game, 68-8. 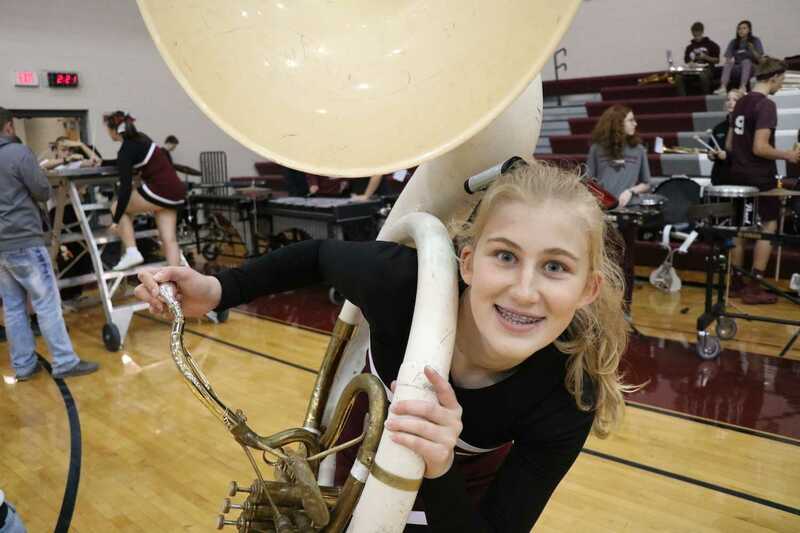 Sophomore Megan Baumler smiles for the camera with her sousaphone at the homecoming pep assembly on Sept. 28. Photo by Lillie Hawker. 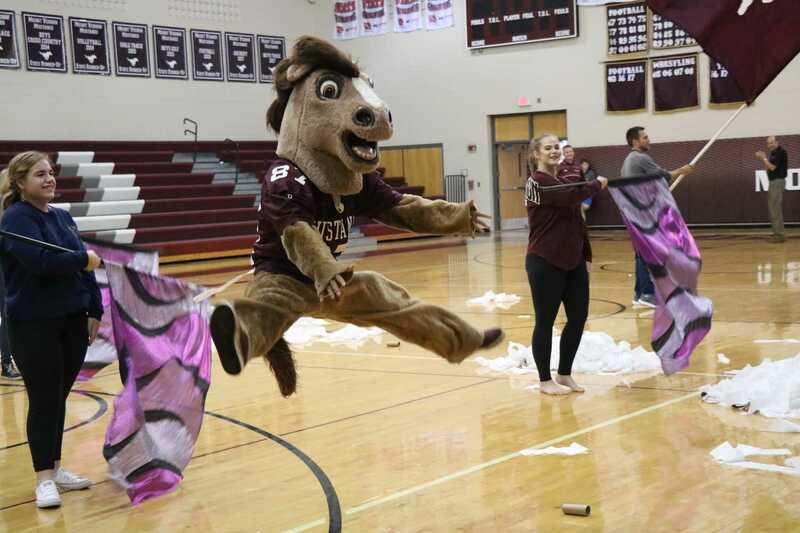 Junior Jaruthat Dervo, dressed as the school mascot, does a toe touch during the fight song at the pep assembly on Sept. 28. Photo by Lillie Hawker.